It is with great pride that we present the opening of our office, “City Dental Kids & Braces”. Any parent looking to give their kids specialized treatment should consider City Dental Kids & Braces for their children’s needs. It is the perfect location for kids to visit the dentist and feel comfortable. They may even feel excited about visiting the dentist. Yes, it’s very possible! 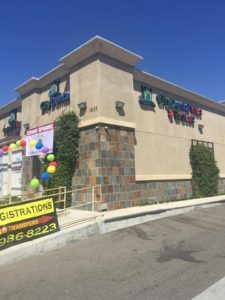 City Dental Kids & Braces is conveniently located at 1233 E 4th St, Suite B, Ontario, CA 91764. The location is appropriately named for the doctors’ and general staff’s approach to treating children. The location is easy to access with convenient parking. City Dental Kids & Braces is an experience that all can enjoy. This new location was chosen for its convenience as well as its cleanliness, so all potential patients and parents can feel comfortable making their way to this new location that makes kids a priority. 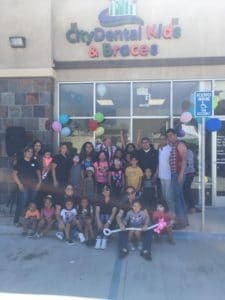 We celebrated the opening of City Dental Kids & Braces with an event at the new location featuring a jumper, lots of activities for the kids, and food, such as hotdogs and hamburgers. 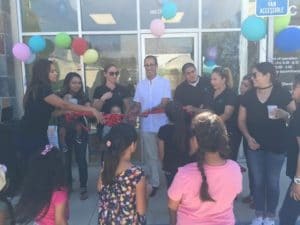 The kids and parents enjoyed the opportunity to discover the new location while connecting with the dentists such as Dr. Sam and Dr. Mike who would be taking care of the children visiting the new location. City Dental Kids & Braces founders Dr. Michael Danial and Dr. Sam Shahoveisi employ the best in dental practitioners. From their doctors to their general staff, City Dental Kids & Braces is made up of experienced professionals who show true compassion for the needs of their patients. It’s one thing for a dentist to just do their job right. It’s another thing for a dentist to do their job right while making you feel valued during the experience. With their new location City Dental Kids & Braces, they look forward to maintaining this reputation with the youth in their local community. Children need a strong dental background early in order to properly care for their teeth into adulthood. This is the focus of City Dental Kids & Braces. Dr. Sam and Dr. Mike opened the location to cater to kids exclusively. This is particularly beneficial for any parents wanting their kids to have the best care possible. Dr. Sam and Dr. Mike treat their patients like family and have assisted in many community outreach programs locally and abroad. They look forward to continuing to revolutionize dentistry as they have for their adult patients and now, even more so, for their younger patients as well.